Are you gearing up for a final summer trip in your RV? Before heading out, consider this checklist to keep your time of exploration and adventure stress-free. Unless the battery is reliably maintenance-free, top off its water content monthly. When the RV is not in use, it’s smart to disconnect the battery and attach to it a tender to preserve its charge safely. RV tires support a lot of weight, which causes a lot of wear and tear. Make sure to check inflation pressure and tread condition regularly, especially before any long road trips. A blown tire on the highway can be costly and a potentially dangerous hazard. If you are unsure about how much air to put in your tires, it’s always good to check the owner’s manual. Check and adjust all battery, coolant, oil, power steering, and transmission fluid levels as necessary. Inspect the ground underneath the vehicle for fluid leaks and make sure to fix them before hitting the road. An oil (or any kind of) leak can appear like a small issue, but it might be a sign of a larger problem. Better safe than sorry! 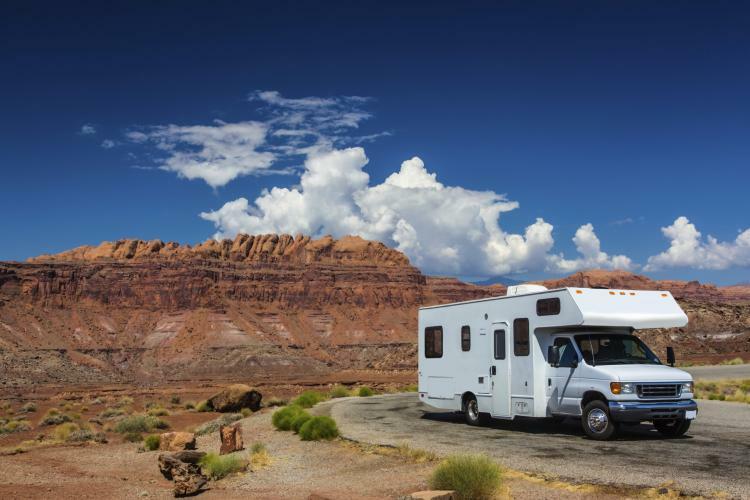 Before you hit the road, make sure to close the awning, pull up the steps, secure the kitchen vent flap, and disconnect cables, power lines, sewer drains and water supply pipes. You’d be surprised how many people fail to do these things, and they can be costly to repair! Also, make sure to refill the fresh water tank and drain all tanks regularly to keep a clean interior free from mold and mildew. If you are going to be driving at night, you should also make sure to check all vehicle lights for proper function. To help protect your RV’s exterior from the elements, use 303® Aerospace Protectant™ on your vinyl awnings, satellite dish, tires, headlights and plastic fenders. And to make it look polished and clean, treat your paint, glass, and metal with 303® Speed Detailer for a high gloss finish that provides added protection from UV rays. STOP RUST BEFORE IT STARTS WITH STABIL® RUST STOPPER TODAY. A clean and secure interior equals a healthy and safe living space! To keep kitchen items safe while in motion, latch all cabinets, sweep the counter, empty the sink and secure the refrigerator door. You should also lower the television antenna and satellite dish and close all ceiling vents and windows. To keep carpets, countertops and sinks clean, try 303® Multi-Surface Cleaner™ and protect your leather seats and dashboard with 303® Aerospace Protectant. And, if you encounter any spills along the way, 303® Spot Cleaner safely removes even the toughest stains from carpet and upholstery. Now it’s time to hit the open road!